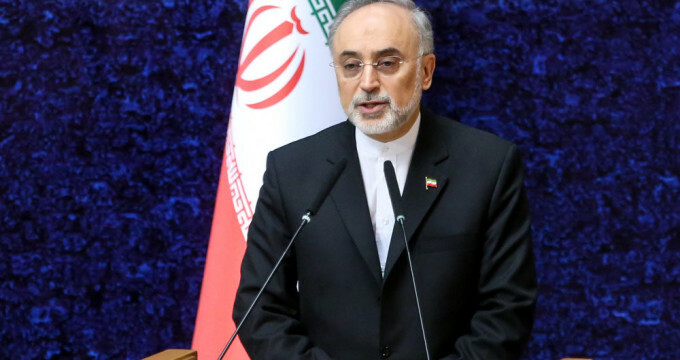 FNA – Head of the Atomic Energy Organization of Iran Ali Akbar Salehi announced on Monday that his country has started construction of two new nuclear power plants in the Southern city of Bushehr. “Everything is moving ahead in an excellent manner. I was in Bushehr two or three days ago and the Bushehr 2 and Bushehr 3 power plants are being constructed,” Salehi told reporters on the sidelines of a cabinet meeting in Tehran on Monday. He added that infrastructures of the power plants have been built, noting that thousands of tons of concrete and cement have been used and two to three months later a larger amount of concrete will be injected to the infrastructures of the two new power plants too. Iran’s first Russian-built nuclear power plant in Bushehr started operating in Iran in 2011 and reached full capacity the following year. The project for Bushehr-2 was presented by Russian nuclear experts in Tehran in September, 2014. In February 2017, Salehi said two new nuclear reactors are scheduled to be built in the city of Bushehr. Tehran is planning to begin the construction of two more nuclear reactors in the Southern Iranian city of Bushehr in the coming months, the head of the Atomic Energy Organization of Iran said at the time. “In the construction of nuclear power plants…we hopefully, within the next few months, will be witnessing the launching of new reactors,” Salehi said. He added that Tehran and Moscow had signed agreements for the construction of two reactors in Bushehr.